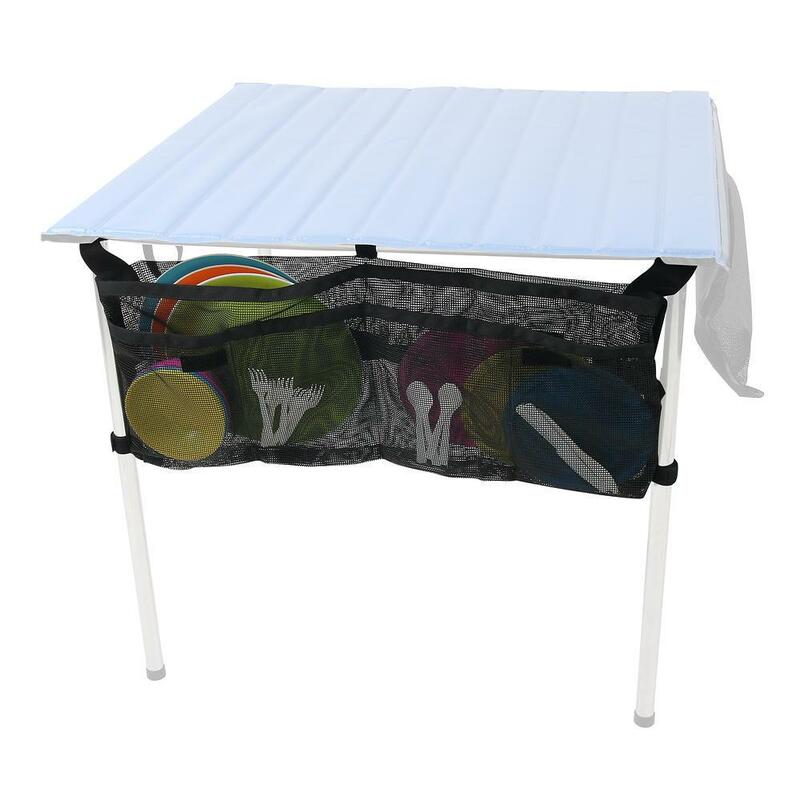 Attach the NRS Table Utensil Holder to your Roll-A-Table and you've got the ideal place to drain, dry and store your plates and utensils. Organize and keep the table top clear! The rugged mesh lets air circulate to dry dishes quickly. Two 12"D x 14"W pockets hold plates and larger dishes. Four 10"D x 7"W pockets work great for cutlery and cooking utensils. Grommeted tabs attach to two of the Roll-A-Table legs when you're setting your table up. Hook-and-loop tabs on a 6" wide flap hold your dishes in for transport. Just fold the Utensil Holder up and put it in your drybox or dry bag. You're organized, no muss, no fuss!